HTC Desire Eye, Get ready to speculate the new design theme by HTC. As HTC prepeares fro its next event in New York City, new leaks are coming out. 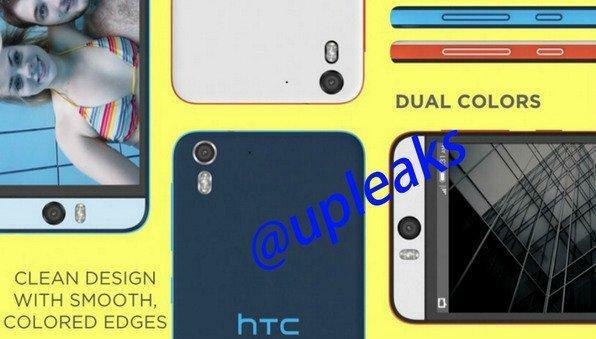 Today, some new freshly leaked images were on te web which are claimed to be of to be announced HTC Desire Eye. 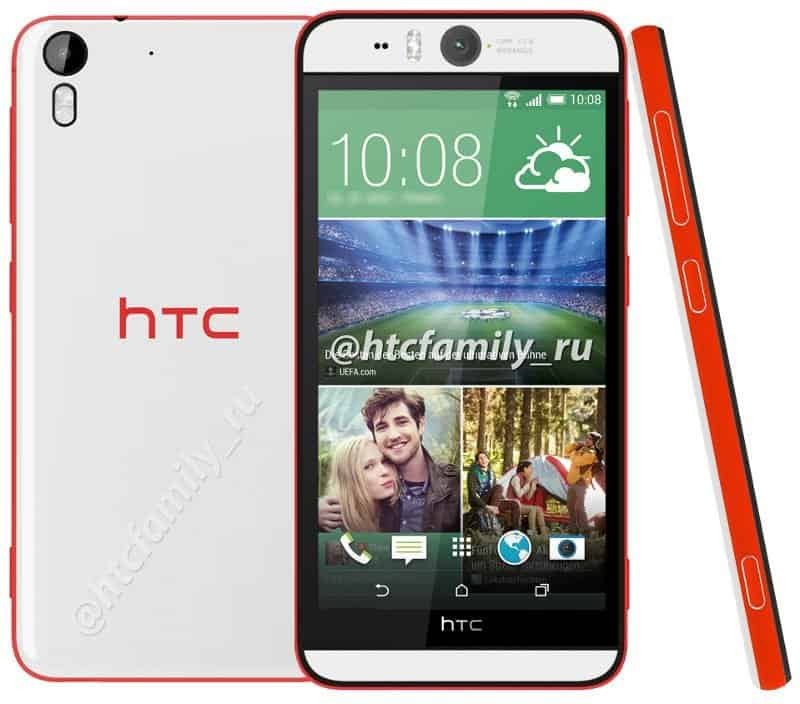 The new leak suggests a couple of things, but the most surprising part is that, the HTC Desire Eye looks pretty similar to Desire 820 because of the similar build and design. Like other HTC flagship devices, the HTC Desire Eye doesn’t have any metal finish. Instead it comes under the hood of plastic and the phone looks quite similar to Desire 80 with a strange white and red or white and blue color schemes. The smartphone is tipped to pack a 5.2″ 1080p display and to be powered by Qualcomm Snapdragon 801 chipset with a quad-core Krait 400 processor at 2.3GHz coupled with 2 GB of RAM.The phone will have 32 GB inbuilt storage and pack a 2400 mAh battery. So, what do you think? A new selfie phone in the market which is gonna smash its rivals or just it will be a flagship smartphone? Let us know in the comments section below.